United Kingdom Private Seaforth Highlanders 1st/4th Bn. 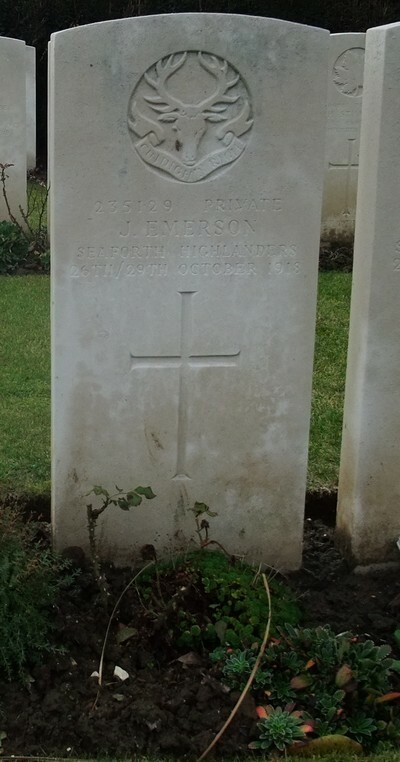 Date of Death: between 26/10/1918 and 29/10/1918 Service No: S/21051 C.2.1. United Kingdom Private Seaforth Highlanders 1st/4th Bn. 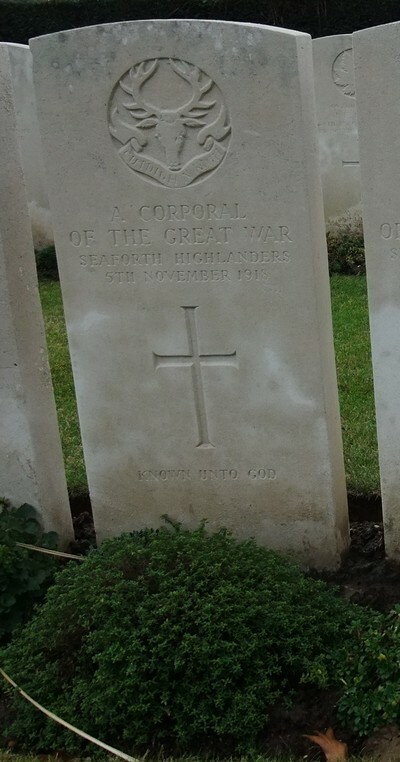 Date of Death: between 26/10/1918 and 29/10/1918 Service No: S/41994 C.2.2. United Kingdom Corporal Seaforth Highlanders 1st/4th Bn. 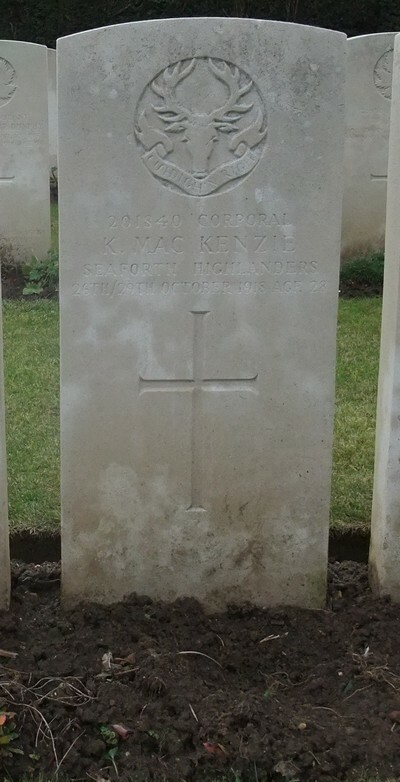 Age: 28 Date of Death: between 26/10/1918 and 29/10/1918 Service No: 201840 C.2.3. United Kingdom Private Seaforth Highlanders 1st/4th Bn. 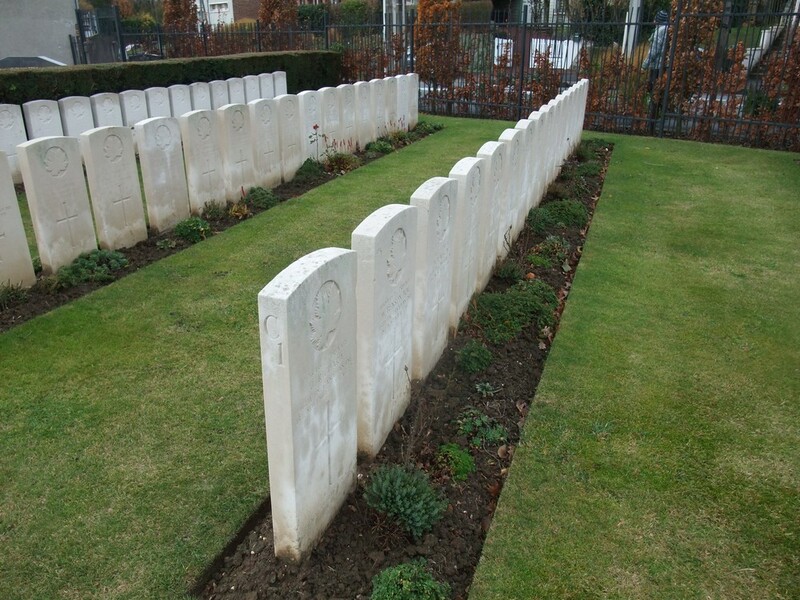 Age: 19 Date of Death: between 26/10/1918 and 29/10/1918 Service No: 235385 C.2.4. United Kingdom Lance Corporal Seaforth Highlanders 1st/4th Bn. 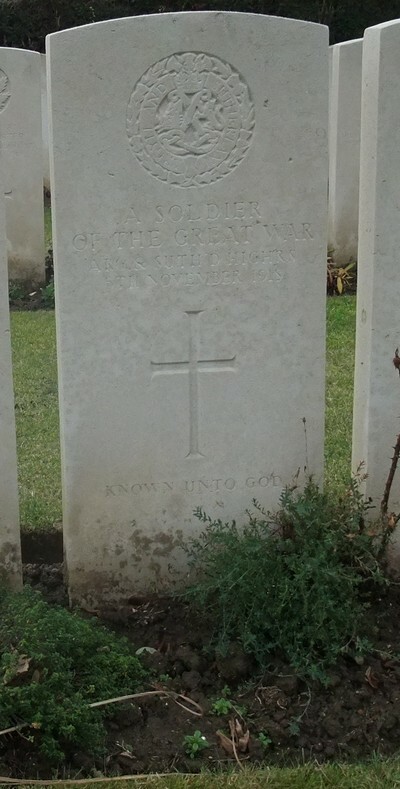 Age: 30 Date of Death: between 26/10/1918 and 29/10/1918 Service No: S/40448 C.2.5. United Kingdom Private Seaforth Highlanders 1st/4th Bn. Age: 20 Date of Death: 28/10/1918 Service No: S/21814 C.2.6. 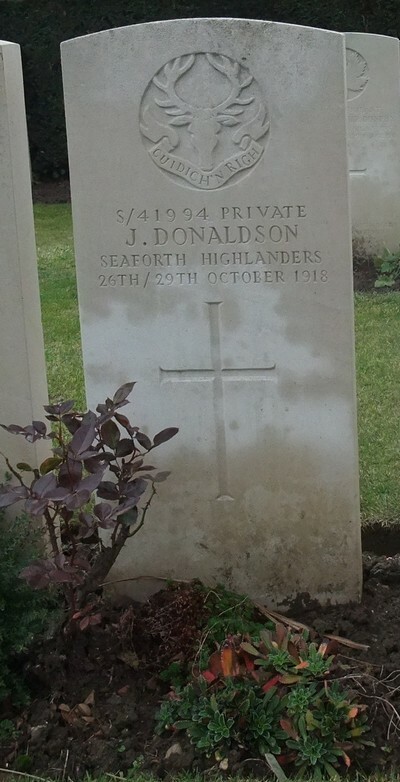 United Kingdom Private Seaforth Highlanders 1st/4th Bn. 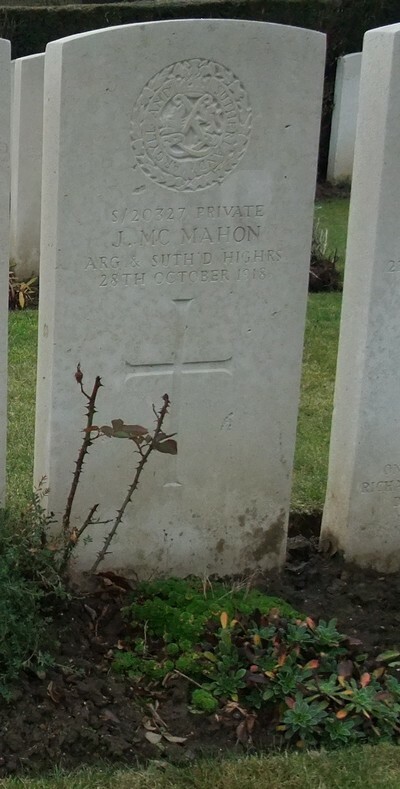 Date of Death: 28/10/1918 Service No: 201320 C.2.7. United Kingdom Private Seaforth Highlanders 1st/4th Bn. 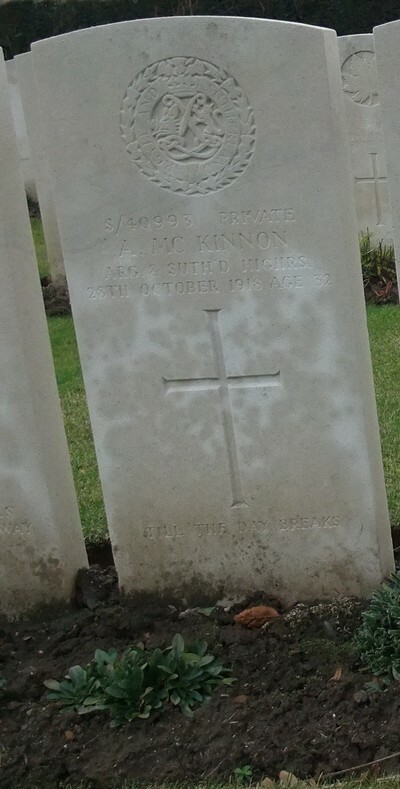 Date of Death: between 26/10/1918 and 29/10/1918 Service No: 235129 C.2.10. United Kingdom Private Seaforth Highlanders 1st/4th Bn. 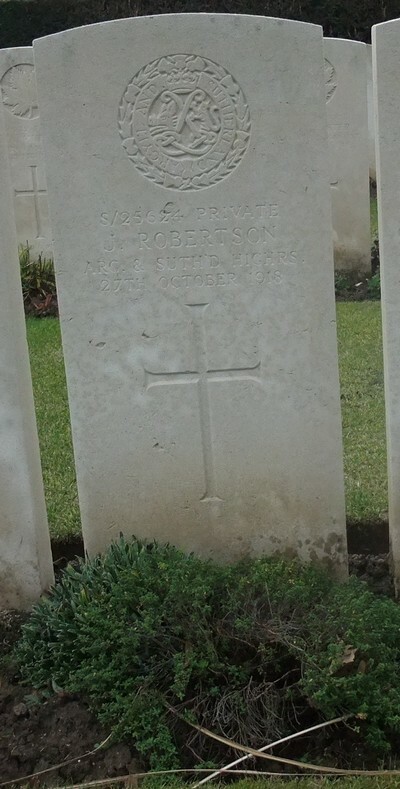 Date of Death: between 26/10/1918 and 29/10/1918 Service No: S/43403 C.2.11. United Kingdom Private Seaforth Highlanders 1st/4th Bn. Age: 33 Date of Death: 28/10/1918 Service No: S/40989 C.2.12. United Kingdom Private Argyll and Sutherland Highlanders 1st/7th Bn. Age: 21 Date of Death: 28/10/1918 Service No: S/21219 C.2.13. United Kingdom Private Argyll and Sutherland Highlanders 1st/6th Bn. Age: 36 Date of Death: 29/10/1918 Service No: 302509 C.2.14. United Kingdom Private Argyll and Sutherland Highlanders 1st/7th Bn. Age: 32 Date of Death: 28/10/1918 Service No: S/40993 C.2.15. United Kingdom Private Argyll and Sutherland Highlanders 1st/7th Bn. Date of Death: 27/10/1918 Service No: S/25624 C.2.16. United Kingdom Private Argyll and Sutherland Highlanders 1st/7th Bn. Date of Death: 28/10/1918 Service No: S/20327 C.2.18. 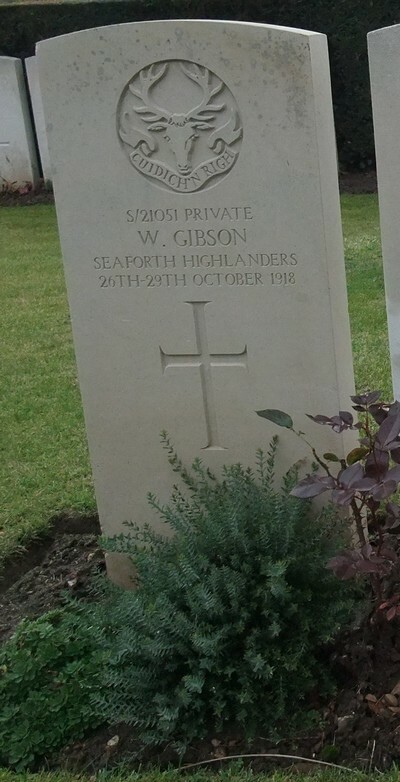 United Kingdom Private Gordon Highlanders 4th Bn. 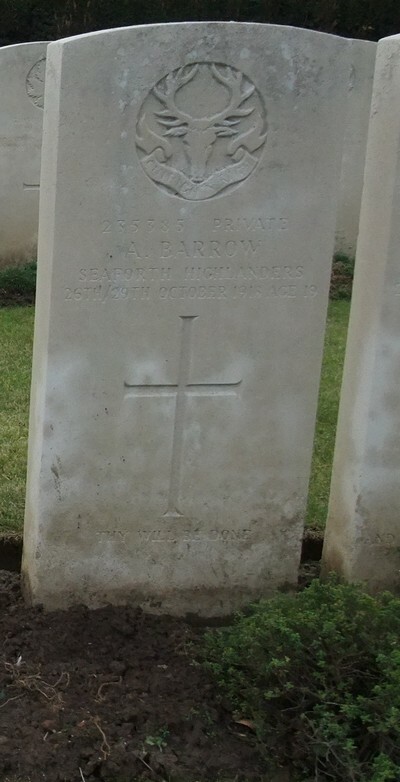 Age: 19 Date of Death: 27/10/1918 Service No: S/22002 C.2.19. Canadian Signaller Canadian Garrison Artillery 1st Bde. Date of Death: 04/11/1918 Service No: 92929 C.2.20.